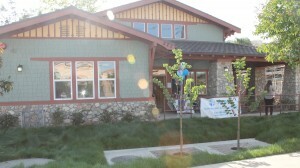 The new John and Mary Duce Centre for developmentally disabled adults, built by MERCI, had their grand opening on May 2. The home is located at 523 N. Chandler in Monterey Park. The home features extra wide doors for wheel chairs. It has been built with an open concept. The large kitchen with chair space for residents in wheel chairs to be able to do the dishes and help prepare meals. It has a walk in pantry. 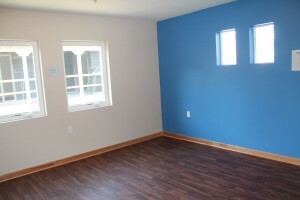 The great room is off the kitchen with a small study and a well-lit laundry room with plenty of cupboard space. 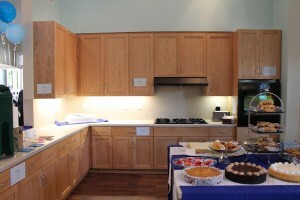 The kitchen featured delicious desserts and beverages for this special event. The home contains six bedrooms each with an attached bathroom. 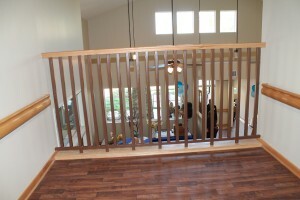 The three bedrooms on the first floor are wheel chair friendly. 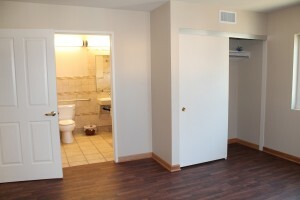 The three bedrooms on the second floor are for ambulatory residents. There is a dumb waiter to ferry supplies and laundry from the first to the second floor. Members of MERCI’s staff provided the guests with the grand tour. This beautiful home was designed and built by Crane and Associates, Edge Development and Lead Core. It replaced a house built in 1919. 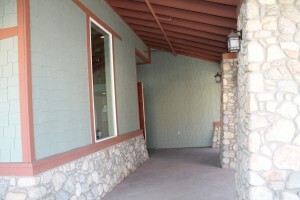 An outdoor patio will be adjoined to the courtyard upon completion of the additional buildings. 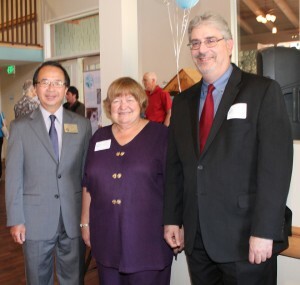 Councilmember Peter Chan joined with Board members Linda Wilson and Keith Breskin for the celebration. Marta Escanuelas thanked everyone for coming today and for supporting MERCI. This project has been in the planning since 2005. 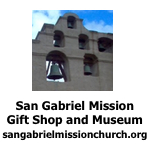 It has been built with redevelopment money and private donations. She praised the developers and how they helped MERCI in the building process. This has been a journey! Families whose children were different founded MERCI. They were not supported by the education system. In the first class children from ages 5 to 15 were taught to read, create art, learn manners and social skills. 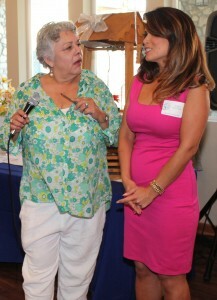 Alysha Del Valle joined Marta Escanuelas at the celebration. This is a great day for MERCI. She will give MERCI good press coverage and ask for donations. 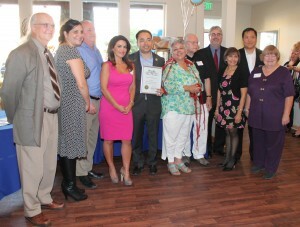 Councilmember Peter Chan presented Marta Escanuelas with a proclamation from the city. Alysha Del Valle joined them. Mr. Chan thanked MERCI for helping the residents of Monterey Park. 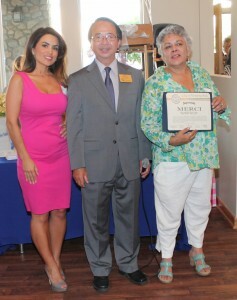 Chamber President John Mar congratulated MERCI on their services to the community. 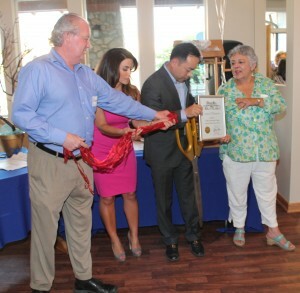 John Mar, who cut the red ribbon, was joined by Councilmember Peter Chan, Marta Escanuelas, Alysha Del Valle, Chamber members Richard Gorman and Deana Sewell, Board members Reverend Sheldon Hess, Bob Bruesch, Linda Wilson, Keith Breskin, Christina Cisneros, Elizabeth Diaz and Michael Chu. Elizabeth Diaz joined the Board to support MERCI who supports her daughter. She thanked everyone for their support. She asked for donations to reduce the $1 million gap to complete the construction project at MERCI’s offices. Please donate to MERCI. Bob Bruesch stated he has been on several building committees in his lifetime. He praised Marta Escanuelas for this idea. He called this home a dream come true. He asked that everyone attending this event to please donate to MERCI. MERCI motto “Open Door to Understanding”. MERCI is a 501(c) 3 charity. Please call 626-288-3050 for more information on your donations to MERCI.